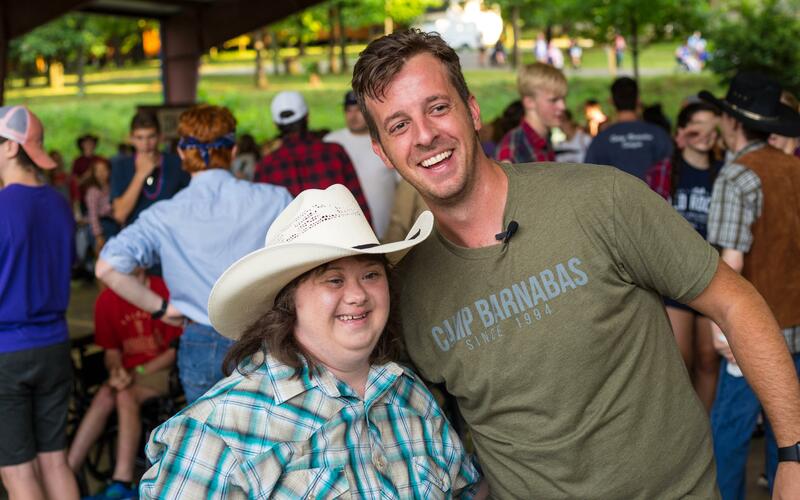 Being a missionary at Camp Barnabas is a life-changing experience. Barnstormers have a servant’s heart and great work ethic. They keep camp in tip-top shape by prepping meals, serving food and tidying up during the week. They also play a huge role in building relationships with campers by participating in daily activities and evening themed parties. Barnstormers are lead and spiritually mentored by Summer Staff during the week. One-on-one counselors (aka “buddies,” “helpers,” or “missionaries”) are the lifeblood of Barnabas. Counselors make up the largest percentage of our missionaries throughout the summer and are our greatest need each year. 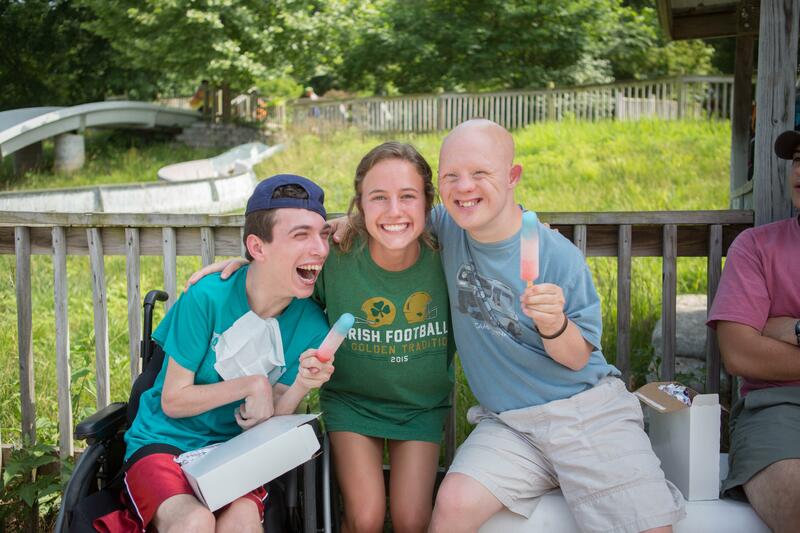 These incredible individuals put aside their own personal desires and needs to pair up with campers and unconditionally love, accept, and care for all of their needs during the week. 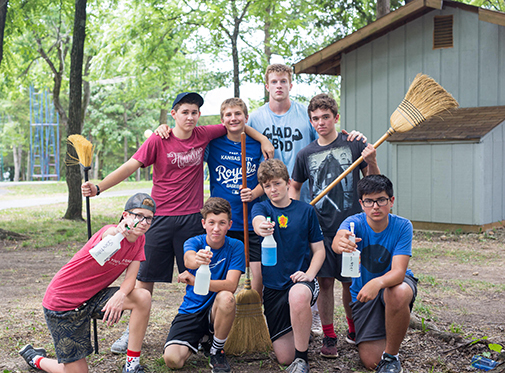 Counselors live in the cabins with their campers and are responsible for assisting them in any way they need including experiencing all activities together. It is a challenging role, but incredibly rewarding and spiritually revealing experience. Counselors will not know their camper pairing until arrival and are asked to come willing to minister wherever called. The Apostleship Program is designed for missionaries seeking additional leadership training and service beyond one week at camp. 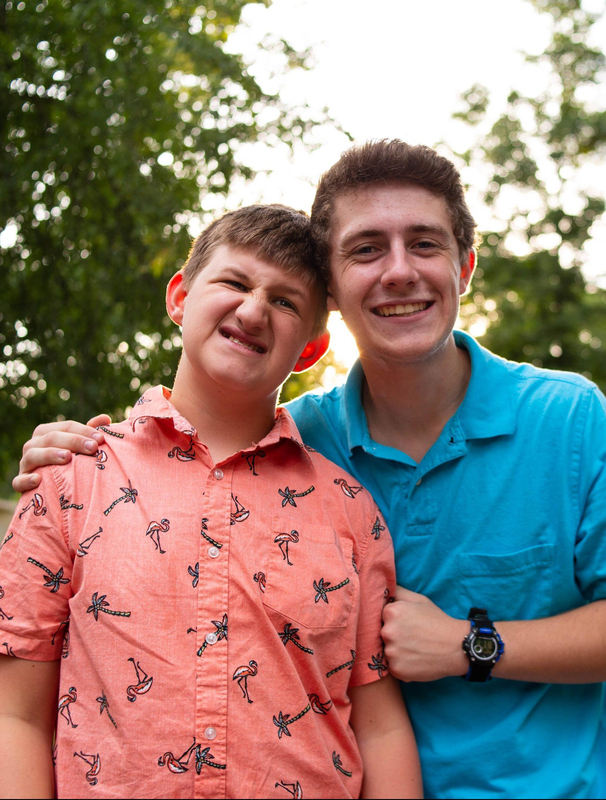 It includes rigorous times of service, caring for individuals with special needs, some travel between camp locations, and leadership training. Apostles get the opportunity to fundraise for support for their position, which demands high expectations and standards, but our Directors will walk beside you and invest in you throughout the program. Over the course of three weeks, apostles will spend one week serving campers, one week serving siblings and one week serving with our MP’s. The program includes bible studies led by our Directors as well as community time with others. The program is ideal for graduating Sophomores and Juniors in high school. Access the apostleship fundraising letter here. 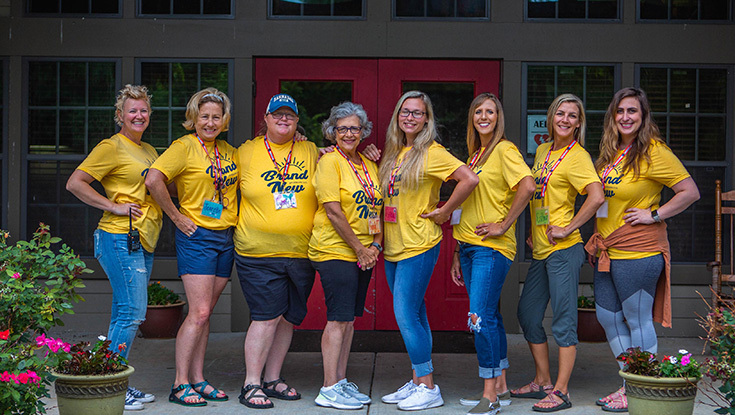 Cabin Parents (or Adult Leaders) play a vital role in supporting the missionaries and campers who come each week. Cabin Parents are assigned to a cabin, but have separate living quarters. Although this role is titled “parent,” adult leaders are encouraged to take a step back during the week and let the youth in their cabin problem solve and grow. Cabin Parents do provide essential relief as requested (assistance in camper bathing, changing, dressing or feeding). Cabin Parents also assist with kitchen duty and other fun projects as assigned. Although not required, Cabin Parents traditionally enjoy prepping for their cabin assignment by writing notes of encouragement, bringing sweet treats/goodies and other fun moral support. Our Med Team registration process has changed! To learn more about serving on the Med Team, click here. 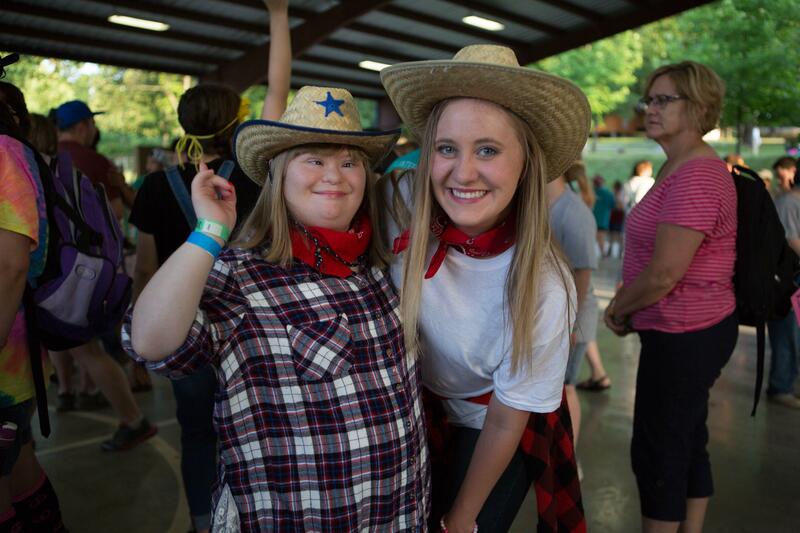 The Party People program at Camp Barnabas offers you and your team an opportunity to experience the Joy, Enthusiasm, Fun and Fellowship (JEFF- it’s a camp thing) of our campers by spending a few hours with us volunteering at our evening parties. Party People teams arrive around 6 pm and, after a tour of camp, have dinner with our campers. Following dinner, your group will help with set-up for the evening party which can be things like a sports game, carnival, game show, dance or pool party. During the party, you will get to directly serve our campers, missionaries, and staff so come ready to jump in and get involved. After the party, you are welcome to stay for our evening session we call “Wrap-Up”. We would love for you to bring your group and serve – we promise it will impact you! For more information or to schedule a Party People date, please contact us at [email protected] or call our main office 417.476.2565.